As I get older I still love deep games that have lots of different things to learn but I also appreciate the games that are simple to learn and play as I don’t always have the time to sit down and play those more complex games. 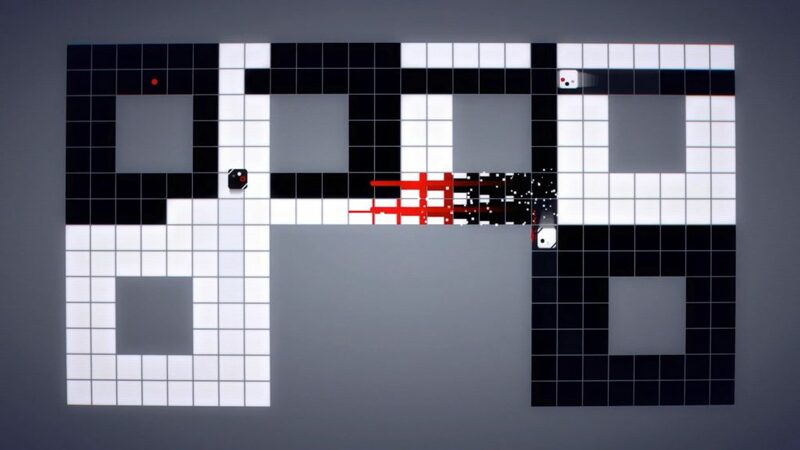 Inversus from indie developer Hypersect is a simple game and one that I was pleasantly surprised by. 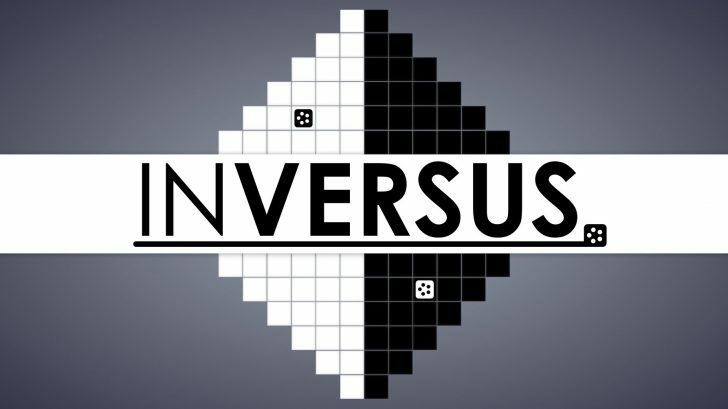 Inversus is an arena shooting/score chasing game for 1-4 players. 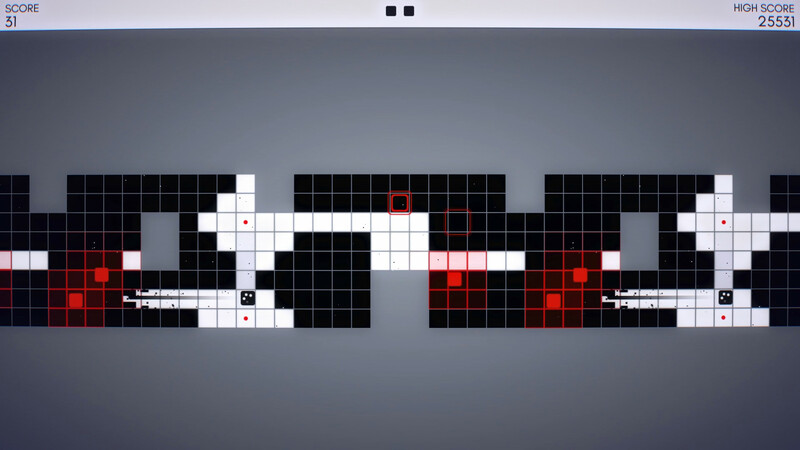 You take control of a white or black cube set on a checkerboard arena. You have five bullets at your disposal and as you shoot them you’ll have to wait a set amount of time for them to recharge. You can fire up, down, left, and right using each of the face buttons on the PS4 controller and can even hold the button down to charge your attack so you can take out more enemies at once. Now to move in the game you must be moving on the opposite color tile as you. If you’re a black cube you can only move on white tiles. You can change the opponents tiles to your color by shooting them. So you not only use your shots to take out enemies but also to navigate the arena. It’s pretty cool. The game has a single player option as well as local and online multiplayer. 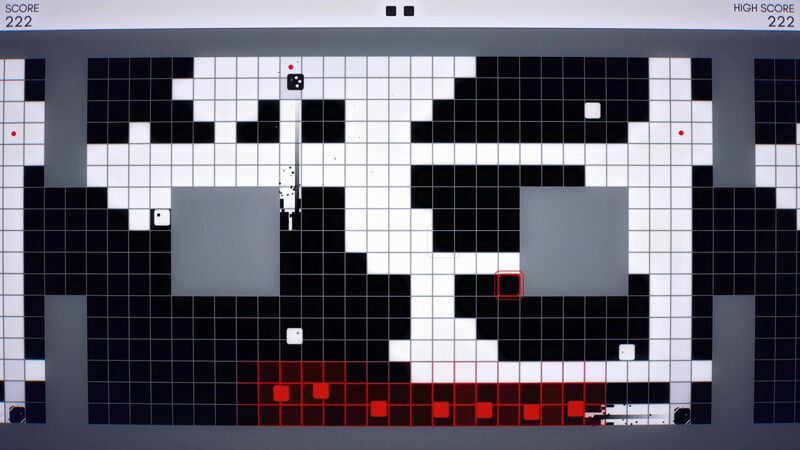 The single player offers up lots of different levels to try and conquer. You’ll be fighting waves of red enemies in this mode and as you kill them you build your score up. When they blow up they set off an explosion that will blow other tiles and enemies near them up which creates score chains and reactions that allow you to build even better scores. It’s yet another risk/reward like game where you can build better scores if you let enemies group up but you run the risk of getting yourself killed. It’s pretty addictive and if you love score chasing you’ll love this game. You can play the single player option with a friend if you like and each level has it’s own leaderboard as well. Multiplayer can be played locally and online with 2-4 players. There are over 20 different arenas you can play on and some of them really make you think on how to attack and trap your opponents. There is a great deal of strategy that you can learn in this game. It’s simple if you want to play it like that but for those who play for extended amounts of time you’ll learn more things like how you can deflect a shot by firing one of your shots at the exact time you’re about to be hit. Again another part of that risk/reward system. Hopefully the game draws some kind of audience to it so those who don’t have local friends can enjoy just how much of a blast the multiplayer is. If you’re a trophy person the game doesn’t have a platinum but it has around a dozen trophies and some of them can be pretty challenging. Music in the game is electronic like and fits the game well. The art style is simple like I mentioned with the only colors on display here being white, black, and red. 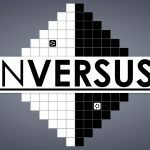 Inversus is absolutely for you if you love score chasing, addicting games or if you have local friends to play with. I’m glad it has online multiplayer even though it may be hard to find players on it. I wish the single player mode was a bit longer but other than that the game is great. For such a simple looking game it really surprised me with how fun it turned out to be. * The following game was reviewed on the PS4. A code was provided by the publisher for review purposes.